The long-awaited (at least by me) release of My Place Was Taken’s sophomore EP, Imparables, has finally come to forefront. I was first introduced to the band by Marco Leal, back when I wrote for Indie Vision Music. He used to tell me about bands that I should check out and write about, which I certainly have done. He has great taste in music. I first covered the band in an article when they signed to Rottweiler Records. 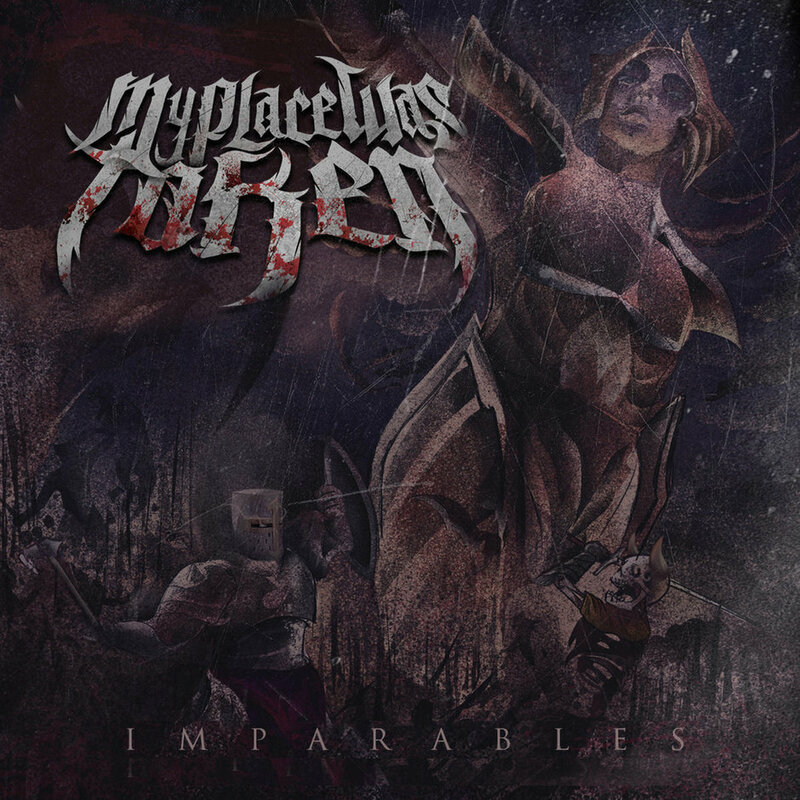 “Imparables” was the first track I heard, as it was the single of the EP, and it came out as a free download. (Still available). The brutal single had an even brutaler lyric video. The first song was great breakout for the band, with people (including me) comparing them to Broken Flesh, Abated Mass of Flesh and Impending Doom. Those are some big names to live up to, and these guys do it just fine. “Imparables” means ‘Unstoppable’ in Spanish. “Codero y Leon” stands for ‘Lamb and Lion’ in Spanish. The song starts off with an interesting intro. The guitars are muffled and playing a weird note, but still awesome. These guys would fit in perfectly with the Christian Deathcore compilations. The song is the longest track on the EP with a timeline of 4:25 minutes. Even though I do not speak Spanish like at all, I really enjoy this song and the vocals. I’m gonna try and jam some of this when I go to Mexico this year. (More on that another time). “Mi Familia” starts off with some brutal breakdown-esque guitars and some guttural vocals. The title “Mi Familia” seems pretty self-explanatory but in case you don’t know it means ‘My Family’. The track is pretty brutal. It kinda reminds me of Soul Embraced musically and Entunombre vocally. The song is long and carries on the deathcore guitars throughout. “Guerra Interna” begins with some weird vocals that are kind of phasy. The song kind of reminds me of Leaders, especially with the (not to be offensive) Hispanic-esque vocals in addition to the Spanish. “Guerra Interna” means ‘Inside War’. The breakdown in the song is awesome!! I cannot stress that out enough. “Sociedad Demente” transitions amazingly between “Guerra Interna”. While reviewing that song, I didn’t realize that it had transitioned and thought it was the same song! I guess sleep deprivation isn’t the best for a metal-head reviewer. The track’s breakdown is heavy, but it also exhibits some awesome bass lines.The whole track is definitely one of the tracks that stands out in this album. Overall: The EP is a fantastic debut for a great band! I’m so glad that Rottweiler signed these guys. I had only just heard of them, like a few weeks prior to them signing the deal. Thank you Marco, once again! If you like some Broken Flesh or Abated Mass of Flesh and have a desire of learning some Spanish via metal music (which I actually have been; I’m going to Mexico in the Summer), this is your music.